Improperly-inflated tires are fuel wasters. Even worse, they tend to overheat and wear prematurely in hot weather. We know that money is tight for many, and it’s tempting to put off tire replacement… but you should know the dangers of worn tires! Let’s talk a little about the importance of proper tire maintenance. 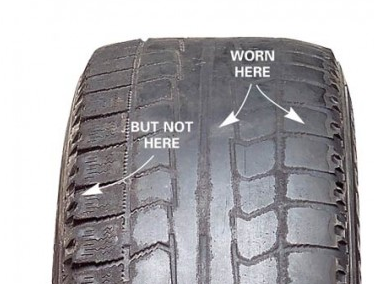 Worn tires prove to be a bigger risk than you might think. Studies have shown tires down only to 50% tread are significantly more dangerous in wet weather and poor conditions. One of the biggest dangers of bald tires is how the tread isn’t deep enough to channel water through and behind the vehicle. This results in a thin film of water lubricating the tires and the pavement, leading to a potential hydroplaning condition where tires are unresponsive to brakes and steering. If you’ve got an older car and don’t want to invest in new tires, consider the dangers of used tires as well. The price might be tempting and they’ll look just fine with plenty of treads, but it’s a roll of the dice. You won’t know if used tires have had proper tire maintenance, including regular rotations, or any idea of the prior owner’s driving habits. Regular tire rotations are probably the single most important thing you can do for your tires. 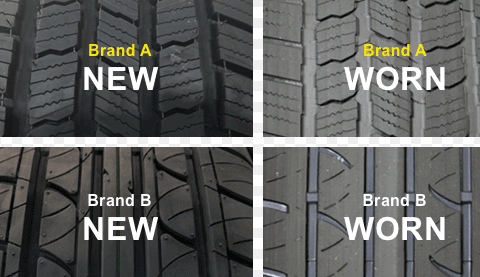 It helps tires wear evenly and improves your car’s ride, steering, handling, and drivability. Just slip in a tire rotation with every oil change and you should be in good shape. Watch your tire inflation. 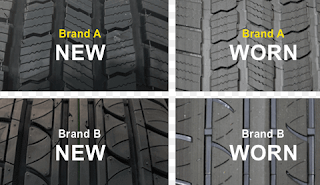 Proper inflation levels are stamped or embossed on the sidewall of a tire; tires do lose air on their own over time, and improperly-inflated tires are fuel wasters. Even worse, they tend to overheat and wear prematurely in hot weather. Check your inflation at least once a month.